Established in 1967, Permark supports industry with design flair and technical innovation. With the experience and knowledge that comes from being leaders in the field of specialist industrial printing. We can provide you with a full labeling and branding solution for your product range. Simply call us now for advice, free samples or a no obligation quote. Permark’s design and technical skills are recognised both by customers, and increasingly, by the major trade associations. 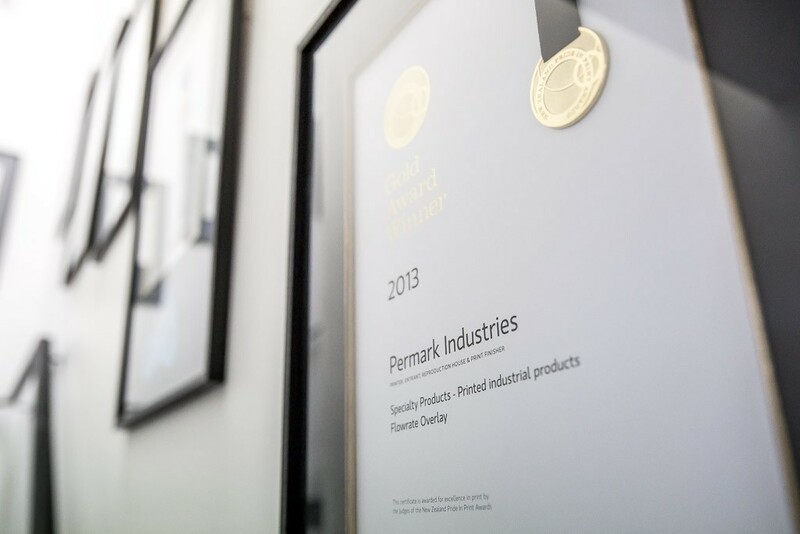 As a result Permark has won awards for quality, design and innovation in print. Our range covers membrane keypads with printed silver and carbon circuits for complex control panels through to metal name plates for farm machinery. Since 1967 Permark has been helping New Zealand and Australian industry design their products to perform in a range of difficult environments for many years to come. Our business is based on excellent customer service and strong customer relationships built up over many years. Our solution based sales system has helped thousands of manufacturers brand their products with confidence.